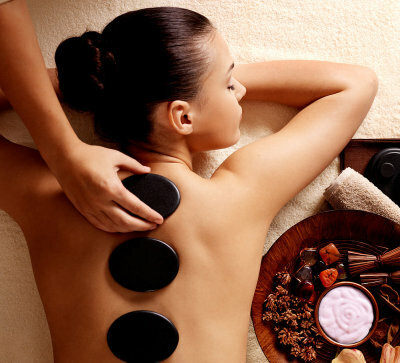 Massage , facials and more. Consists of a double cleanse, scrub, appropriate mask and moisture balance. Then enjoy a scrub, hot towels and massage on your feet to address any dryness caused by dehydration during summertime. Consists of a double cleanse, scrub, steam,10 min massage ,face and shoulders , finishing with a deep cleansing mask according to skin needs and moisture balance. Blackhead extractions $10 Extra. This treatment is designed for skins that have increased sebacious activity with visible whiteheads, accumulation of milia, blackheads and pustules. Steam with ozone is used to disinfect and Lymphatic drainage massage to boost removal of wastes and healing of the skin. Indicated for sensitive & easily irritated skins especially those exposed to sunlight and harsh weather. Skins that are couperose. have broken capillaries. Specific products are used to strengthen the protective skin layer and diminish areas of redness with appropiate serums and masks. Essential nutrients enhance the skin function and replenish moisture to diminish signs of ageing and plump the surface layers of the skin. Designed to regain a lighter complexion with natural ingredients to regulate melanin production, removing dark spots, freckles, pigmentation and sun damage. Super nutritious, luxurious facial designed to reduce the signs of ageing on a cellular level. A unique blend of peptides, proteins and enzymes work together to rebuild, hydrate, firm an ageing skin. It will boost cell renewal, increase fibroblast activity to generate natural collagen and revive the activity of sebaceous glands. Skin regains it's youthful elasticity, suppleness and radiant glow. Collagen & Gold eye mask "
Collagen & Gold lip mask "
Uses the latest in advanced scientific research to offer a definitive reduction of unwanted body hair. The two Enzyme based Gels are applied exactly after waxing and massaged in the skin by a professional therapist. Prices are added on top of waxing. A safe, Painless, Permanent hair removal system using disposable fine needles to treat unwanted hairs individually. Price includes needle. Spa Treatments By Gernetic Skincare. Aroma Hydra Body & Massage inc.